Year 1995, 1996, 1997, 1998, 1999, 2000, 2001, 2002, 2003, 2004 and 2005. Plafoniere used lamp for mounting in heaven for various models of Fiat, Lancia and Alfa Romeo.Submitted by a Delta II by year built 1999 and is in goo..
New plastic plug for fitting the mudguard for Lancia Delta all types, oof for Delta Integrale and EVO models.Can also be used for: FIAT BARCHETTA (199.. Complete slotenset for used Fiat Barchetta. 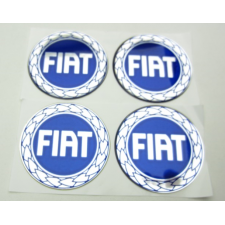 Submitted by a correctly working Fiat Barchetta 1.8 of year 1998.All locks were working correctly, and the.. Loose wheel nut used for various Alfa Romeo, Fiat and Lancia models. 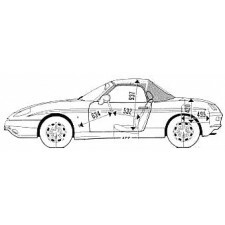 Always check for the order or the length of the screws is suitable for your car/a..